He looks mad, doesn’t he? Sorry. I haven’t played Tiger Woods golf in a couple of weeks, which is about an eternity for me, but it has been for very good reasons. First off, I’ve been working on my next novel, which in and of itself is a labor of love. Quite literally. I’m writing a modern love story, a genre I haven’t even remotely wanted to venture into before, and it’s taken a lot of work to get to this point, but I’m quite satisfied with my character development, so that’s a bonus. Secondly, I decided to pause the novel in order to release my second collection of poetry, Subjects, (now available on Amazon and Barnes and Noble). That in addition to working these two jobs simultaneously for six weeks, and you can see why I’ve been fairly busy. These are the days when I wish I could get paid for blogging. Honestly. I do it enough. These two jobs tax two completely different areas of my brain, though, so I can certainly compartmentalize them. Tonight I’m working the glorious 6-10 shift at Target, and tomorrow morning the principal is coming in to observe me at summer school. Oh, and report cards are due. Fun times for all. Not to mention fantasy football season is right around the corner again and I’m the defending champion in one of my leagues so I have had to do some serious research to give myself the best fighting chance to win the title yet again this year. During the past week I’ve already had two fantasy drafts and approached them both in completely different ways. We’ll see how they shake out over the course of the long season, but just having them in my pocket helps me for the one draft that really counts, at the end of next month. Oh, and ferrying the kids around. Did I mention that? These girls are doing all sorts of summer activities. Maddie is in summer school, so I pick her up at the end of her school day. Lexi is taking art classes so she comes home with so many interesting stories (and sometimes paint on her clothes — they were “glazing” today). And both girls are taking swimming classes at the local community college, so I drive them out there to meet their mother, and — bless her soul — she swims with Maddie in the parent-and-me class. I get to swim with her tomorrow night. Where is my bathing suit again? 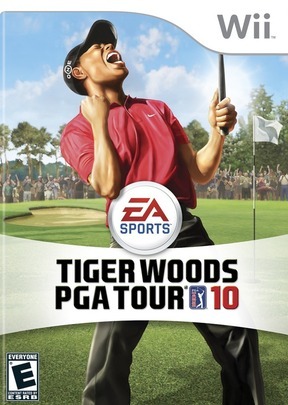 But I’ve neglected Tiger Woods, and for that I’m incredibly sorry. Maybe this weekend. We’ll see.